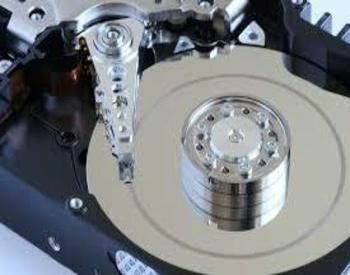 Home » Hard Drive Technology » What Leads To Hard Drive Problems? What Leads To Hard Drive Problems? Your computer won’t always be brand new. You may have bought it shiny and sparkling new but it wears out the longer you use it. Even if you don’t use it that often every day, it still stores files and grow old every day the same way you do. And as such, it is inevitable that you face technical problems along the way. The problems are usually simple and easy to fix. A quick restart or shutdown of your device or a restart of the modem will usually do the job. However, some problems persist and can cause more headaches than you want it to be. It is even more infuriating if the problem lies on your hard drive because you can expect it to cost you more money than you’d like to spend on, actually. Unfortunately, moving parts like hard drives will eventually fail on you because of the very fact that they move. Even newer ones like SSD’s (solid-state drives) fail although a bit longer than regular hard drives. These problems don’t come without notice, though. There are tell-tale signs to watch out for that gives away the possibility of it breaking down sooner rather than later. However, you need to be aware of them first before you can do something about preventing a hard drive failure that is looming on the horizon. Things like disappearing files, corrupted data, computer freezing, bad sectors, and unusual sounds emitted by your device are all warning signs that shouldn’t just be ignored easily because you’ll surely regret it soon enough. Your hard drive hasn’t been acting the same lately. It’s starting to make clicking or screeching noises, it can’t seem to find your files, and it’s moving really slowly. It might be time to say farewell—but here’s what you should do before it goes to the big data center in the sky. Every hard drive dies eventually, and when it’s near death, you’ll see the signs: strange noises, corrupted files, crashing during boot, and very slow transfer speeds all point to the inevitable end. This is normal, especially after your drive is more than a few years old. On older spinning drives, moving parts like the motor can degrade over time, or the drives’ magnetic sectors can go bad. Newer solid-state drives (SSDs) don’t have moving parts, but their storage cells degrade a little bit every time you write to them, meaning they too will eventually fail (though SSD reliability is much better than it used to be). Now that you already know the warning signs, it is about time you get the problem diagnosed, preferably, by an expert in the field. Your device must be checked from within to find out the root cause of the problem. You can’t just tell it from face value. Of course, it makes perfect sense to check your computer for a possible malware or virus infection before deciding right away that it is a hard drive malfunction. One of the best ways to do this is to check for the S.M.A.R.T. status of your computer as mentioned in the above post since it is really helpful in detecting potential hard drive failures. There are several different types of drive failure. There’s the obvious one, where your drive stops working entirely. Perhaps your computer doesn’t even recognize it when it starts up and you see a message saying your PC has no hard drive, or perhaps your computer begins booting and just can’t get through the boot process. There are also more subtle drive failures, where the drive appears to be working…but there are problems. Your PC may occasionally freeze, you may hear unusual sounds from the drive, you may experience data corruption, or your computer may detect bad sectors on the drive. Any sort of clicking noise from a mechanical drive is a bad sign. This indicates the head, which reads and writes the data from the platters on the drive, has failed. It’s best to shut down the drive completely to avoid further damage and use a professional data recovery service if you need your data back. You won’t hear any strange noises from a solid-state drive, as they have no moving parts. A SMART check is effective but it has its flaws. Of course, by now you have already tried troubleshooting for the problem but it is still there. If the problem is tearing you apart and prevents you from accomplishing important tasks, it is about time you turn it over to an expert for a third-party analysis and most likely it will stay there if a problem is detected for repair and possible replacement of malfunctioning parts. A failing hard drive can still be prevented, so make it a habit to do routine checks on your system to prevent costly repairs and replacements especially if the problem can still be prevented. If you do encounter problems like these, https://www.harddriverecovery.org/errors/disk_read_error.html, getting help from https://www.harddriverecovery.org/repair-hard-drive.html makes the most sense and a practical one too because of their reasonable charges for most hard drive recovery services they offer. Thank you for sharing this information with us. It’s put together quite impressively & I got some good idea about what things can create problems with the hard drive & make it difficult for us to recover it. Looking forward for more of such posts!